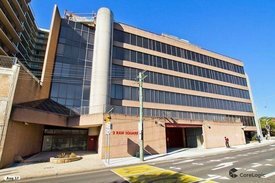 18 Commercial Real Estate & Properties in Strathfield are listed in 5 categories. We have 6 Development LandsSale & Lease , 5 Other Commercial PropertiesSale & Lease , 4 Retail ShopsSale & Lease , 2 OfficesSale & Lease and 1 Industrial Warehouses Sale & Lease . Lyons Road is a celebrated locale of high and medium dense residential buildings and excellent vehicle and pedestrian exposure. This is a rare and exceptional opportunity for business owners seeking a landmark property of high potential in the tightly held Strathfield precinct. Landmark location in the heart of Strathfield Brand new spaces from 112sqm 667.49 sqm approx. Excellent street presence and exposure Metres to cafes, train station and amenities Please contact Fabian to arrange an inspection. Don't miss out on your chance to set up your business in a truely sought after location in Strathfield, within minutes' walk to Strathfield station and shopping plaza. With this property being offered for the first time in several years you will want to be the new tenant! Other features include; Previous tenant had approval for 6 outdoor tables & seating Full commercial kitchen, fitted out with all appliances Tables and seats included Air conditioned Ventilation exhaust installed Grease trap High foot/car traffic with excellent exposure 3 car spaces, additional can be organised at an extra cost Total area 104 sqm approx. This Strathfield Triangle site represents an exclusive opportunity to secure a significant part of Strathfield zoned favourable for high density development up to 41 metres (STCA). Outstanding exposure corner position providing flexibility for building design. Favourably rectangular shaped flat land. The site has increased heights and densities, seeking to provide a functional master plan where the development potential of the site is achieved. Easy walking distance to Strathfield Plaza, Woolworths. Asian supermarkets, eateries, restaurants, major banks, food, fashion and lifestyle precinct. Outstanding public transport within footsteps to Strathfield train station, bus networks. Prestigious private schools in close proximity including Trinity Grammar School, Meriden, MLC School, St Patricks College and Santa Sabina College. It's not a destination for visitors but it is a happy home for residents, where life is comfortable but never dull. bull; Site area of approximately 875m2 bull; Currently 2x single storey dwellings bull; No FSR control bull; Height of Building: 41m bull; 12 Storey height limit bull; 280m approx. to Parramatta Road bull; 400m approx. to Strathfield Railway Station bull; 500m approx. to Strathfield Town Centre bull; 1.5km approx. to Burwood Westfield bull; 10km approx. to Sydney CBD For more information please contact exclusive licensed real estate agent: Alvie Lin 0433 157 502.